The coveted black YoYo. I've never seen one in real life. Like free Business upgrades on airlines, their very existence is debated. In 1990, the Bolivian arm of Coca-Cola, obviously floundering financially in a nation where only 99.9% of the 5 Million residents were swilling their product, decided to spur sales through aggressive marketing. Never-before-seen tactics in the 3rd world. Bolivian Coke was cheaper than milk and contained less cow bits. It also had sugar & bubbles, lasted longer than a day in the fridge and didn’t taste like cow hair. And it came in glass bottles instead of plastic bags, which was helpful. ‘Cause although Chicolac was amazing and deserves a Nobel Prize, sucking Coca-Cola through a hole in a bag would probably give you emphysema. Coca-Cola always had great promotions, but 1990 took the crown. 1990 was year of the Coca-Cola Yo-Yo and the entire country wanted in. 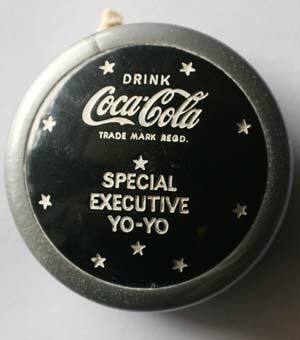 All you had to do was collect bottle caps from Coke, Fanta or Sprite bottles and pay like 20c to Don Rafo and you got your yo-yo. Then you were king of the world. Suddenly we bought coke everyday. We would have started buying Coke by the barrel load, but all you got for a barrel load was a Coke pencil case, so we stuck to bottles. And it was hard work let me tell you. Plastic Coke bottles didn’t arrive until years later, so you did it old-school and lugged your empty glass ones to the shop to get them swapped by the large hairy lady. Hauling 3 full bottles home in a shopping bag at a brisk pace meant you were carrying almost 8Kg of potential yoyo action. In all the excitement you inevitably dropped the bag from exhaustion half-way there and shook up all the drink. Especially since in my case you were a skinny Australian kid with knees like a flamingo. The adrenaline kept you going, because now you gingerly lumbered along at a much more leisurely speed carting 8Kg of potential yo-yo explosives. Joel almost lost an eye once, too eager to get the bottle cap off and check inside. Should have waited for the Coke to settle down. Mum was overjoyed at just how much money we were spending on softdrink, content in the knowledge that it was healthy* and she wanted us to follow our dreams of becoming world-class Yo-yo-ers, instead of persuing some useless career like Architecture or Medicine. I’m not sure if “yo-yo-er” is the official title, or even if any exist. 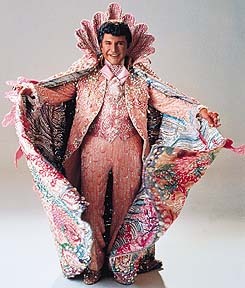 If they do exist they have no friends and probably wear sequined shiny pants like Liberacé. And an absurd desire to sue me. The by-product of all this yo-yo collecting craziness was of course an over-abundance of Coke. We had coke on everything: Cereal, fruit, pasta, meatloaf, everything. We had baths in Coke since we were too poor for running water. All this may explain why my brother now has darker skin than the rest of us and teeth best described as ‘Water Soluble.’ But back to the yo-yo’s! There were Coke, Sprite or Fanta Yo-yo’s and everyone at school had 2 0r 3. 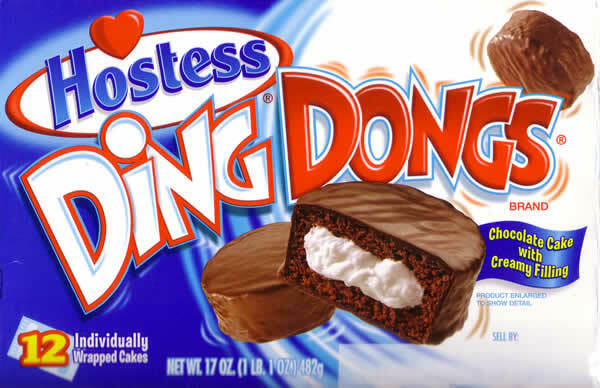 The quality was actually very good, on average only taking about 5 minutes to tangle into a plastic ding dong. Just as tasty, just as useful in showing off to your friends. Extremely lucky punters had black yo-yos; won by finding specially marked bottle caps, of which there were probably 2 in all of Bolivia. No one I knew had a black one, but everyone’s friend-of-a-friend had possibly maybe almost seen one, in a darkened alley somewhere, doing amazing tricks beyond the realm of science; too fast for the naked eye. There was no internet back then so you relied on some adult relic to teach you tricks, involving hazy stories from the 70’s, swear words and a tangled Yo-yo string not too dissimilar to the plot on Lost. You got a sheepish smile and a mashed up bundle handed back to you that took you 2 days to get working again. So Yo-yo education was difficult. But the country was catching up and suddenly there were Yo-yo pamphlets in the markets to be had, and Yo-yo segments on TV for learning tricks. Even the rare Black YoYo’s for sale for exorbitant amounts from one-eyed street vendors with gold teeth. I don’t remember any yo-yo tricks, or their names, but obviously I was awesome at all of them. One time a Professional Yo-Yo guy (let’s call him ‘Stanley’) came to our school to show us how it was really done. I despised Stanley with his fancy tricks and shiny pants, sequins shimmering in the light, basking in all the glory, black yoyo swinging round his head. I had some ideas for tricks I could do with his head and a Yoyo string if he asked. Anyway, I could be a world class yo-yo-er too, if I wasn’t too busy partying all the time with my hundreds of friends, swimming in pools of coke. I’m pretty sure the Coke Yo-Yo promotion was successful. It’s entirely possible, that, just like us, everyone bought about 1900 bottles and took several years to get through them all, and now suffer from horrifically bad teeth and diabetes. Although, since you opened the bottles straight away, most of the superfluous coke got wasted and went straight to the bathtub, unfit for drinking. Given Bolivia’s history, I suppose it could be misconstrued by some that every mention of coke in this tale refers to cocaine. If that’s true, our childhood was much more exciting than I remember and probably resembled that of Stephen Tyler or Mick Jagger. Also, it may mean the Yo-Yos cost more than 20c. *OK, Healthy may be pushing it, but recent research from the UK (true story) suggests sugary drinks don’t affect kids behaviour at all. Who knew?! Maybe we were just brats from birth. Also, orange juice is worse for your teeth. And potato chips. Just sayin’. Posted in Bolivia, Stuff & ThingsTagged black yoyo, Coca-Cola, Coke, liberace, Yo-Yo, Yo-yos, Yoyo, YoyosBookmark the permalink.